ceramitec 2015 took place between 20 and 23 October 2015 on the Messe München site, delivering in the process the most impressive proof to date of its reputation as a first-class industry get-together for every segment of the ceramic industry. 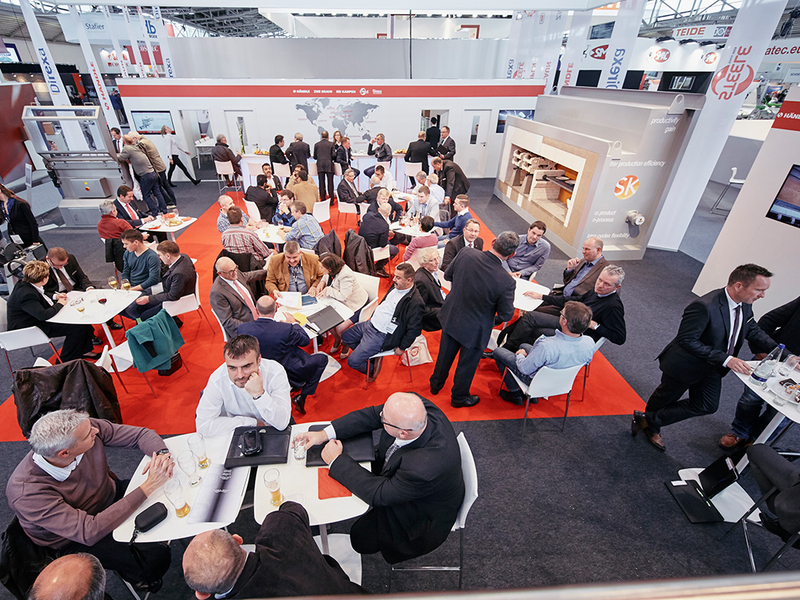 With 617 exhibitors from 37 countries and 15,000 participants from almost 100 countries and five continents, ceramitec 2015 was without doubt the most international event in its history. The exhibitors’ satisfaction reflected this in a post-trade fair survey. 94 per cent of the exhibitors surveyed awarded ceramitec 2015 an overall rating of excellent to good and 97 per cent recommend it to others. Fully 98 per cent state that they will be exhibiting again at ceramitec 2018. The benefits of participation play a critical role in this. 94 per cent of exhibitors report having achieved their objectives at the trade fair, namely cultivating existing business relationships, paving the way for subsequent business as well as clinching deals at the trade fair itself. Thus ceramitec confirms that it is not merely a networking platform but that concrete projects as well are discussed here and business deals are set in motion. Compared with competitor events this is why 89 per cent of exhibitors see ceramitec as offering clear advantages. Most gratifying of all, however, is the fact that 77 per cent of exhibitors report excellent to good post trade fair business. “Our exhibitors’ opinions are very close to our heart. Praise is gratifying, of course. But critical comments help us to become ever better” is how Dr. Robert Schönberger, ceramitec Project Group Leader, summarizes what the exhibitor survey aims to achieve. By a large majority, exhibitors endorse the 3-year period between trade fairs as being exactly right for the industry’s innovation cycle. Which means that the next date from April 10 to 13, 2018 is spot on.